Tonight's edition of the Soo Evening News reports that police responded to a report of an unidentified flying object on Wednesday night in the 1000 block of East 7th Avenue in the Michigan Soo. 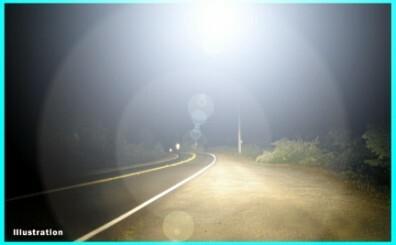 The UFO is said to have hovered without noise there almost one hour. It was very shiny on top, just like the visor on an astronaut's helmet, the newspaper said. "While police might have dismissed the report had it come from a lone individual, neighbors and other supported the original caller's claims of a strange object hovering in the sky," the Evening News said. LOL! ANOTHER UFO that hoovered for an HOUR and NO PHOTOS OR VIDEO.